This buyer's guide is based off the LIMS Buyer's Guide, a former publication of the Laboratory Informatics Institute (LII), an open trade association associated with LabLynx, Inc. In late 2013, the LII and LabLynx discontinued publishing a copyrighted version and chose to release future guides to the public domain via this wiki. Per the Creative Commons license and the copyright terms of this site, you are free to copy, adapt, distribute, and transmit this guide as long as you 1. give proper attribution and 2. distribute the work only under the same or a similar license. 2 How do I find the right LIMS, and how much will it cost? 2.7 How much will it cost? What exactly is a laboratory information management system (LIMS) or laboratory information system (LIS) anyway? Do I need one? What options are available and how do I compare them? What about a request for information (RFI), request for proposal (RFP), or request for quotation (RFQ)? These are questions laboratory professionals typically ponder upon finding themselves charged with the mission of finding software for their lab. It can be a daunting proposition, and there doesn't seem to be any objective reference to help with it all. This guide hopes to change that. For this free public domain version of the guide, we've added more vendors, updated new information, and added links to video demonstrations of their systems, with the goal of providing the accurate information you need to make decisions for your lab. This guide also strives to be different from any buyer's guide that has ever come before by including pricing. For the first time you have real information as well as pricing so you can quickly pursue only the vendors and products that make sense for you and your lab. While in the past vendors have refrained from providing public pricing, the trend is arguably changing towards a more open information process, though not without its own set of caveats. In theory, that means prices should decrease as LIMS become commodities that labs can compare and contrast in a more competitive fashion. At the core all labs are in the business of producing reports, data... essentially information. Everything else is just a means to that central goal. So in a very real sense, information management is the core of any lab. In a world where we use the latest technology for most of our daily tasks and pleasures, why do so many labs still rely on hand-written notes and spreadsheets? Spend thousands of dollars on a sophisticated analytical instrument yet hesitate when faced with purchasing an information management system? Why? The primary reason is price priorities. Since LIMS are increasingly becoming commodities, driving down prices, potential buyers don't need to make the tough decision of one or the other anymore. As technology has improved, smaller LIMS companies have emerged, along with affordable SaaS online subscription models that are trustworthy. This means any lab can put their resources where they belong: in information and its management. The LIMS Buyers Guide is here to help you wade through the mire. Use the information and vendor profiles to get a feel for what's out there and what makes the most sense. This guide contains information on everything from "what is a LIMS?" to maintaining and supporting your system. Additionally, whether you call it a LIMS, LIS, or even a LMS, in the end it's simply a tool to better manage your lab's data. This guide will refer to it all as “LIMS” for the sake of simplicity and consistency, though this guide may include systems officially dubbed as a LIS or ELN. Finally, a primary criterion for inclusion in this guide is publicly available pricing information that can thusly be cited. If citeable public pricing is not available, the vendor will not be listed in this guide. Any inappropriate additions will be removed. How do I find the right LIMS, and how much will it cost? Should we purchase licenses or "rent" them via subscription? Does the software need to be on-site, or is a SaaS hosted option more practical? Is a modular or complete system better for us? What is the best licensing/rental scheme for us? Show we consider site, named user, concurrent user, or workstation licenses? Is the company qualified and trustworthy? ...if a large lump sum is hard to get budgeted. If your business cash flow will support the regular subscription fee but finding license fees is more problematic, then a subscription may be right for you. But do the math. Calculate project costs over a reasonable period (e.g. five years) to make sure it is a value proposition. Be sure to include maintenance and support in your figures; this is often included in a subscription but not in a license. ...if you may need to reduce the number of users. Once you buy licenses, they are yours. You can't "un-buy" them. But with a subscription you can raise and lower the number of users, workstations, etc. as you need to. ...if you may need to bail. Business decisions often need to be dynamic. Your lab may decide to go into another area of analysis, and if your LIMS isn't versatile enough to support the change, you have potentially wasted a lot of money. On the other hand, it may be important to you to have the LIMS source code. Some subscriptions allow you just as much access to it as if you had purchased licenses, while others may not give you the access you seek. Confirm this with the vendor. Alos, ask whether you get to keep an image of the database should you decide to end your subscription. If you have a small or overworked IT department, or none at all, then it may make sense to let the LIMS provider take care of those functions rather than invest in additional hardware, personnel, and other resources just to support your LIMS. If you are a large company with an extensive and capable IT department, then you may prefer the LIMS and its database to reside on premises. IT techs cite security as a major reason to keep a LIMS on lab premises. The truth is, if the vendor uses a SAS-70 or SAS 70 Type II data center to host, with GxP SOPs, your system and data are probably a lot safer than on a typical business infrastructure. Ask the vendor. If you decide to have your system hosted, ensure it's not by Bob and his buddy in their basement. The vendor needs to have been around awhile, have solid references, and feature good customer service. A reputable SaaS host will guarantee you high availability, approaching 100% up time, with quick and responsive catastrophe response. Redundant components and infrastructure (power, cooling, etc.) allow them to do that. Some LIMS are offered as a collection of modules for you to select from to constitute your completed system, while others come complete with all the functionality available. 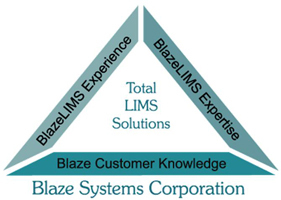 Those whose LIMS are modular espouse the benefit of only paying for the functionality you need. Those whose LIMS come as a complete package say labs won't need to pay extra for any add-ons. Who's right? Well, it depends. If buying modules means you need one module for sample tracking and another for data entry, and still another to generate reports, then it may not be long before you run up a sizable bill just to get basic standard functionality, especially if the modules require hourly services to implement. If the modules tend to be industry-specific and complete, then they may make sense. Make sure you compare your needs with the product functionality and identify all costs associated with getting everything you need out of the software. When comparing license fees, understand the difference between named users and concurrent users. If a vendor charges by named users, and your lab will have 30 people who will use the LIMS at any time, you will need 30 licenses. If the vendor charges by concurrent users, then you only need enough licenses to cover the number of users who are likely to be on the system at the same time. Typically in a lab with 30 staff, you might need a maximum of 20 concurrent user licenses. This is reduced even further if you have sites in other parts of the world whose work days differ. As important as the LIMS and its functions are to you, the company is at least as important. Make no mistake: this is a relationship you are entering into. This is not like selecting a piece of furniture. A LIMS is like a living, dynamic entity, and you'll need to interact with the vendor from time to time even with the most trouble-free system. Of course that interaction will be particularly intense in the beginning as they provide installation, provisioning, training, and other set-up services. Take your cue from your initial dealings with them. Just like in any relationship, they will be presenting their best side to you then. If the vendor return calls or emails late or fails to follow through with what they say they'll do, then you can bet it will be much worse once you are their customer. So yes, do the usual: research their years in business, size, staff qualifications, references, etc., but also ask yourself if you would be comfortable doing business with the vendor in the long term. And now we come to what probably has weighed most on your mind since you had the first idea you might need a LIMS: functions and features. The functionality of the LIMS is paramount, so it is important you first have an idea of what a LIMS can do, and then you can begin to decide which functions and features you need or want. The software itself never comprises the entire cost. LIMS are complex creatures, and your lab, even if it's small, is fairly complex, too. Let's go over what's involved and how much it's roughly going to cost. If the software has a purchased license type (as opposed to rented/subscription), then you will of course have to pay for those. Keep in mind what we said earlier about named vs. concurrent user pricing. Other methods include by site, by CPU or server, by workstation, or by unlimited user corporate level licensing. Arguably the lack of standardization in this area has contributed as much as anything to the vagueness that has surrounded LIMS pricing for so long. The linked vendor profiles in the next section feature pricing information for licenses for the included vendors. (Remember: the primary criterion for inclusion is publicly available pricing.) Review and compare, but make sure you factor in pricing method. The cost of LIMS rental is equivalent to the licensed type, but a lump sum up front is not required. These can run anywhere from a couple of hundred dollars a month for a single user up to maybe $2000 or so for 20+ users. Just like purchased licenses, however, these can be priced by site, concurrent or named users, etc., so make sure you compare like with like or at least factor these considerations in as you shop. And your rental may be annual instead of monthly. In most cases it does include all IT services and maintenance, support, and warranty, including updates, at a specified level. The second type of subscription cost is annual MSW, and you need to factor that into your budgeting if you are buying LIMS licenses. Typically it is priced at around 15 percent of the license fee and is available at graduated levels. A certain level may be standard for a certain number of licenses (for example, 10 hours of support and additional services available at $200 per hour for a 10-concurrent user LIMS), but you can buy a higher level of support and cheaper rate for additional services if you want to pay extra. One thing to keep in mind: with an MSW you will certainly need coverage as you go through your first year. If you think you can then drop it, think again. A modern LIMS should be built on technology that can give it a much longer life span than those in years past. That is dependent on staying updated. If you lose that update path, your LIMS will expire prematurely. If you decide later to renew MSW, you may find yourself liable for the missed years before the vendor will bring you current. You may need other services. Rates for services vary from vendor to vendor, but a good rule of thumb for initial budgeting purposes is to figure service costs to be roughly equal to the licensing cost or to a year's worth of LIMS subscription. For free open-source laboratory informatics software, please see the open-source laboratory informatics software page. Click the link of each vendor to find useful product information, pricing information, and demo videos. Benchling, Inc. Yes 36 No No Yes No All but enterprise pricing available. LabArchives, LLC Yes 18 No No Yes No Pricing only available for non-profit entities; for-profit prices not public. Yes 5 Yes No Yes Yes Pricing only available for LIMS, not ELN or SDMS. 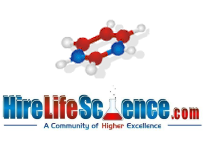 BiochemLab Solutions No 4 No No Yes No Free ad-based and paid ad-free versions of ELN exist. Bytewize AB Yes 1 Yes No No No Pricing only available for O3 LimsXpress. Apex HealthWare, LLC Yes 0 No Yes No No Pricing only available for cloud-based POL version. INTEGRIS LIMS GmbH No 0 Yes No No Yes Pricing available for "Small lab solution"
Yes 0 Yes No No No Pricing information is partial. Terra Systems OÜ No 0 No Yes No No Pricing only available for MiniLIS, not other products. Formerly a LinkedIn-associated group, LIMSforum is a web portal for those interested in laboratory, scientific, and health informatics. Formerly the LinkedIn-associated Lab Careers group, LIMSforum's career opportunities section is available for the viewing and posting of job openings for laboratory, scientific, and health lab careers. Formerly LIMS University, the laboratory courses at LIMSforum provide free, open-access learning and teaching resources for those wanting to learn more about laboratory informatics. LIMSfinder is a web portal for those looking for a LIMS and related information, services, products, news, events, resources, jobs, etc. LIMSpec.com provides a collection of datasheets — from lab requirements assessment to LIMS vendor and system questionnaires, validation documents, and more — for identifying LIMS needs and matching them with what's out there. The informatics resource portal here at LIMSwiki features a collection of as many useful online scientific and health informatics-related materials and research tools as possible, including books, journals, blogs, web portals, education programs, conferences, and more. ↑ "Laboratory Informatics Institute Established". Laboratory Informatics Institute, Inc. 17 July 2006. http://www.limsfinder.com/BlogDetail.aspx?id=31049_0_3_0_C. Retrieved 06 September 2013. ↑ "The LIMSbook ...everything about LIMS". Laboratory Informatics Institute, Inc. http://limsbook.com/. Retrieved 06 September 2013. ↑ Metrick, Gloria (15 August 2011). "Understanding Openness and Other Marketing Tactics in Laboratory Informatics and Other Industries". GeoMetrick Enterprises. http://outonalims.com/2011/08/15/understanding-openness-and-other-marketing-tactics-in-laboratory-informatics-and-other-industries/. Retrieved 06 September 2013. ↑ Allen, Thomas J.; Cohen, Stephen I. (1969). "Information Flow in Research and Development Laboratories". Administrative Science Quarterly 14 (1): 12–19. http://www.jstor.org/stable/2391357. Retrieved 06 September 2013. ↑ "Clinical Lab Information Management". LabWare, Inc. http://www.labware.com/en/p/Industries/Clinical-Lab-Information-Management. Retrieved 22 September 2014. This page was last modified on 8 April 2019, at 19:07. This page has been accessed 29,901 times.